This is article #36 out of 50 in The Startup Marketing Playbook. Maintaining a blog requires a content management system, such as WordPress. If you are using a marketing automation system, such as Hubspot, it has built in blogging functionality. It is advantageous to use that because it tightly integrates with the analytics, landing pages and call-to-action (CTA) features. Some blog systems have templates and others may require you to code HTML, CSS and sometimes proprietary content management language from scratch to customize the blog. Designing a blog is a large undertaking, much like developing a website. Plan on a web developer working on it for 6 weeks and include time to A/B test different concepts. Once the blog infrastructure is established, it’s time to brainstorm topics. Topics should be derived from the company’s messaging and positioning story. Often, the blog repeats similar topics in different forms and from different angles to effectively convey a message and reach a larger target audience. Consider blog posts that are broad and align well with what our target persona is searching for online. 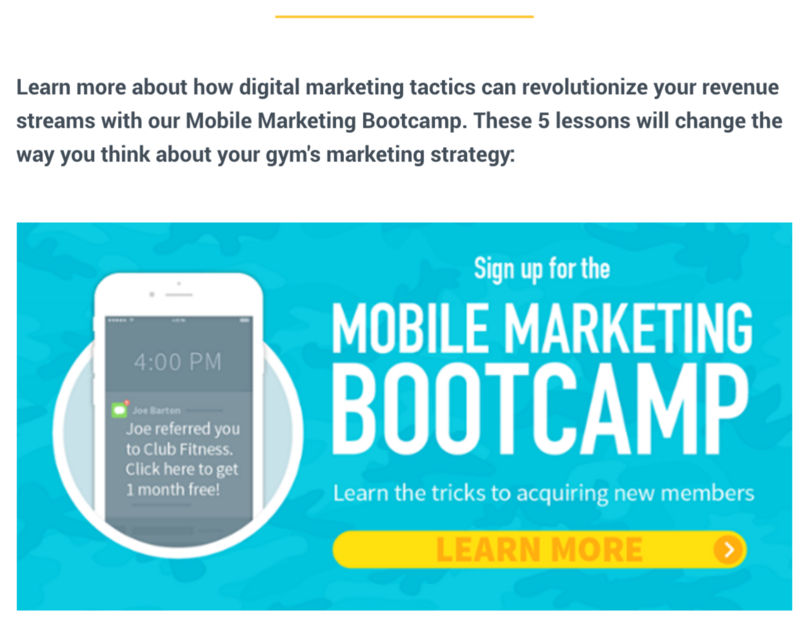 For example, for my team that sells mobile apps to gyms, we write blog posts about broader topics like: gym technology, gym marketing and general tips for gym operators. This is the content that our targets are searching for and what will attract them to our website. There is a constant tradeoff between quality and quantity of blog posts. Depending on the market landscape your startup is in, both strategies can make sense. If you need to cover the marketplace with a message to establish yourself, producing a large quantity of posts that will appeal to different segments of your target persona makes sense. On the other hand, if you want to develop specific thought-leadership in you space, then a smaller number of highly researched posts are more appropriate. Either way, it’s important to define your strategy from the beginning. Blog posts should follow a standard cadence. That could be daily, alternate days, or twice per week. It’s important that you write posts in advance to ensure you have enough content to adhere to the cadence. If you have the resources, publishing a post daily is great. More realistically, getting something online 2-3 times per week is a good start. As you are creating premium content to feed the inbound strategy (ebooks, PDF guides, infographics, etc), blog posts should serve to highlight and promote those assets. You may take an ebook and carve out each chapter into a blog post. The goal is to distribute the content in many different mediums. Some targets may download the entire ebook, while others may absorb it slowly from blog posts. As you build up a cadence of blog posts, you’ll get enough data that can be analyzed to benchmark your posts and identify which topics and styles resonate the most with your readership. You may find that posts geared towards specific topics get the most traffic, or small tweaks like title or opening paragraph make a big difference. If you are posting frequently, you will have many opportunities to test and optimize the blog. Starting a blog is a big undertaking. This post outlines the high level overview of how to get started and what a general approach to take. Consider researching competitors’ blogs in your space to see what may or may not be work for your target demographic.